The Internet is now a platform, with applications and data hosted outside the enterprise and served over the Web. How do you secure, control and ensure performance over the WAN? 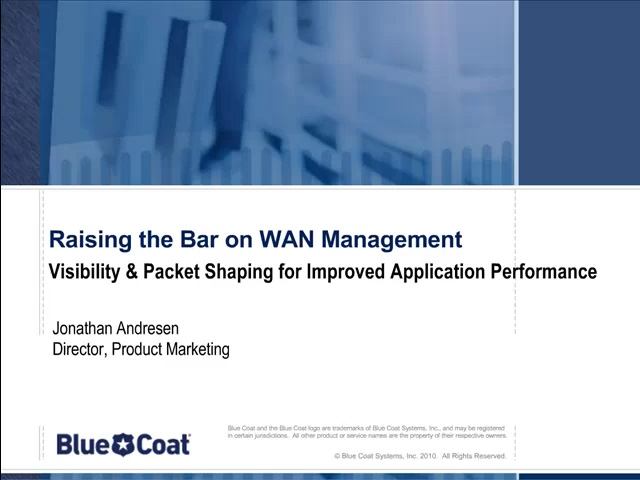 Learn how Blue Coat’s PacketShaper technology provides granular visibility and even sub-classification within an application. With complete insight into what’s running on the network and how each are performing, you are now in full control to “turn down” recreational traffic to conserve bandwidth for business critical applications.